For the purpose of comparison to other food storage supplies, this Vegan 3 month Food Supply provides one adult with 2,014 calories per day for 92 days or 3 months. Vegan Food Supply for 3 month is for vegans or plant based diet individuals or families wanting a supply of emergency food storage for one person or a 1.5 month supply for two people. It provides the versatility of cooking your own meals by including baking and cooking staples. You should keep on hand about 1 quart of oil and be using and replacing it to keep it fresh. Coconut oil will keep the longest without going bad but is quite expensive. 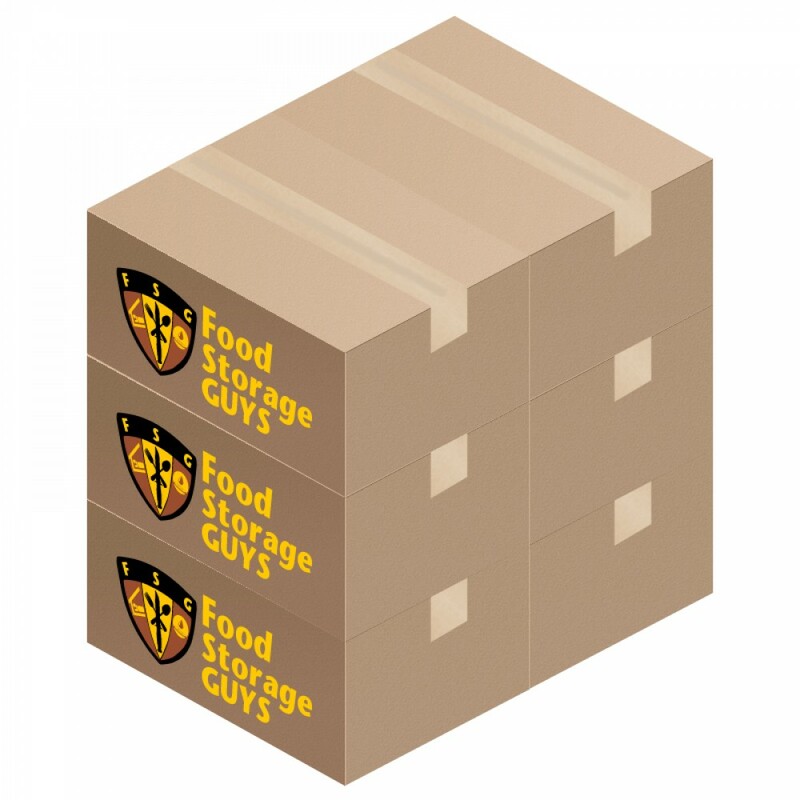 These food items will stay good for up to 25 years if stored at 35° to 70° F. Higher tempuratures will shorten the life of the food. Some food items have a shorter shelf life and are labeled in the food life below. This supply provides 9 servings and 2,000 calories per day. It is intended to provided a healthy balanced diet with a variety of vegetables, fruits, beans, and grains. The freeze dried vegetables can be prepared by placing food in a small pot with a little over twice the amount of water as food. Example: 1/2 cup of freeze dried broccoli and 1.1 cups of water. Heat the pot until it comes to a boil and remove from heat. Let cool for about 10-15 min. before serving. Freeze dried fruits can be eaten dry or placed in warm water for about 15 min.